Mr. Leslie D’Souza is the Chairman and Managing Director of PrePearl Training Development Pvt. Ltd. The first to introduce Belbin Team Roles in India, he has been using Team Roles and the Grid methodology to assist teams realize their potential for over 20 years. Leslie is also the Partner of Grid International Inc. He has consulted with a cross-section of industries in India and abroad. He has personally worked on assignments with Dr. Robert Blake the founder of the Grid theory. He is on the Technical Advisory Team for Grid designs of Grid International Inc.
Leslie has been a behavioral expert resource person for McKinsey Consultants in India. He is an Executive Coach to business leaders and managers. In collaboration with Corporate HR of Larsen and Toubro, he has designed the mentoring program at the level of Business Heads across the various Business verticals and Independent companies in L&T. 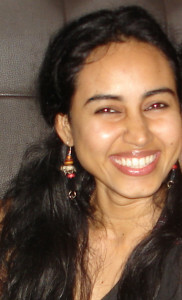 Leslie is a “Learning & Development Subject Matter Expert” with SHRMS India. He has also been on the Board of Governors for the Xavier Institute of Management, Mumbai. He is a member of Institute of Management Consultants India and The Association of Psychological Types USA. He is a licensed MBTI practitioner. Leslie has a Masters degree in Management from the Jamnalal Bajaj Institute of Management Studies Mumbai. 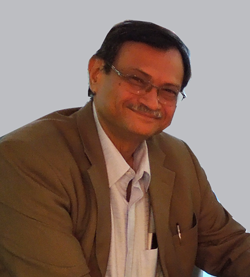 He has over 30 years of experience in the field of Human Resource & Organizational Development. He was CEO of Ion Exchange Training Resources for 6 years. He has also been a faculty member for the full-time MMS and the Post Graduate Diploma Course at Narsee Monjee Institute of Management Studies. Pearl D’Souza is a behavioural consultant and Director at PrePearl Training Development Pvt. Ltd. In her previous assignment at Vodafone India, she has worked extensively in the area of Employee Engagement which included partnering with various departments and stake holders to identify, analyse engagement cornerstones and work on raising engagement levels. 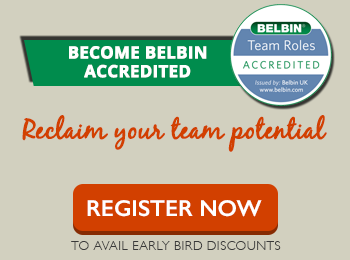 Pearl is an Accredited Belbin Team Role consultant and facilitator for Belbin Accreditation workshops. Her forte lies in the area of being able to work with teams to realise their resources and maximise the same. She has been a member of the Grid International Inc steering committee working on the company’s global strategy and structure. She has been co-facilitating Grid Interventions for clients and has been playing an active part in supporting the development of the online tool used for the Grid Phase II interventions. She is also a certified MBTI practitioner. Pearl has consulted and trained with clients in a variety of sectors such as Risk and Financial management, heavy equipment, power sector, consumer durables and agriculture. Her paper on ‘Retaining the Entrepreneurial Employee- The Effect of Job Characteristics on Employee Engagement levels of an Entrepreneurial Employee’ was chosen to be part of the Asia Academy of Management Conference at Taiwan in 2008. A further researched version of the paper entitled ‘Can an Entrepreneurial Personality Compensate for a Boring Job? The influence of proactive personality and job characteristics on employee engagement levels’ was published in the Journal of Entrepreneurship in September 2011. Pearl has been a visiting faculty for the PG course at the UnitedWorld Business School and focusses on the Organisation Development course. She has also lectured for the MMS course at the Xavier’s Institute of Management and Research, Mumbai. Pearl has done her Bachelors of Arts with a double major in Psychology and Sociology and graduated with honours in Sociology from St. Xavier’s College, Mumbai. She has done her Post Graduate Diploma in Business Management with a focus on Human Resources from Welingkar Institute of Management, Mumbai.